It may be hard to believe, but people are still finding easter eggs in Batman v Superman: Dawn of Justice. The newest easter egg has appeared recently courtesy of John Aaron Garza from DC Film Hub, and it’s a fascinating one. While we were certainly aware that Batman (Ben Affleck) was keeping tabs on Superman (Henry Cavill) over in Metropolis, we didn’t realize exactly how far that meant he went. I never knew Bruce had ALL heroic activity of Superman in Metropolis, even down to his symbol AND description of the deed. Zoddamn Zack, the details my man. 🤯 Armed Robbery. School Fire. Attempted Robbery. Gas Explosion. Bus Accident. Building Collapse. To be honest, do we really expect any less of Batman? 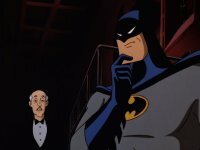 As the greatest detective in the world, he fully realizes knowledge is pwoer, and be doing things such as seeing what sort of disasters Superman would respond to, how fast he gets there, and what he does at the scene, that could give him a lot of very valuable information should he ever need it. Batman v Superman, the film that just keeps on giving and we’ll gladly take it.